Collectively comprising little more than 10% of the general population, the IN types (INFJ, INFP, INTJ, & INTP) are rare and unusual birds. If we harken back to humanity’s tribal days, we would likely find only a few INs in a given tribe. At that time, they would have assumed roles such as sage, healer, Shaman or prophet—anything that capitalized on their powers of insight and intuition. Indeed, their rare and unusual gifts would have made INs a precious commodity. Knowing that they played a critical role in their tribe’s well-being would have engendered a deep sense of self-worth in these types. Fast-forwarding to the present day, INs find themselves in a very different and ultimately more difficult predicament. Instead of being born into a tribe and assuming a meaningful role within that community, INs must now find or create their own tribe, as well as their purpose within it. Unfortunately, many INs discover that the path to doing so is a rough and rocky one; finding themselves and their best-fit niche rarely proves as smooth or easy as they anticipate. Further complicating this situation is the growing concentration of power and influence among a small subset of individuals. Due to the reach of the internet and other forms of mass media, a single individual can now command the attention of millions. And while this may be a boon for a fortunate few, it can leave many INs feeling as though their own ideas and insights are superfluous or unimportant. Put simply, the path to a meaningful societal role for IN types is far less straightforward than it once was. Not only are there more perfunctory hoops to jump through, but the sheer number of options and possibilities makes it harder to stay focused on and confident in one’s chosen direction. 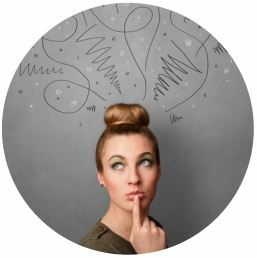 Even INs who have settled on a career path, for instance, are constantly confronted with enticing alternatives that can engender doubt or discontentment. This forces them to consider whether they should stay the course versus jumping ship and exploring something different. As introverts, the INFJ, INFP, INTJ, and INTP types are naturally compelled to seek mastery in a specific area. However, they feel it equally important to ensure they are focusing on the RIGHT thing. More than anything, they want to avoid making the wrong choices upfront which could lead to the squandering of many precious years of life. Knowing when and what to fully commit to—this is the key. Of course, in a world that is changing so rapidly, any amount of sustained commitment or “tunnel vision” comes with a certain amount of risk. If change is the name of the game, those who fail to adapt run the risk of becoming irrelevant or left behind. This can pose a problem for INs who want to deeply invest in something while at the same time remaining responsive to new trends or developments. They may find it difficult to honor their need for inner consistency amid an ever-changing external landscape. Although keeping tabs on new developments is certainly feasible within a relatively narrow scope of interest, INs are compelled to maintain an accurate sense of reality as a whole, which means exploring and integrating a broad swath of information. To ensure that their worldview and life choices are guided by a proper understanding of the whole, they see it is as their duty to stay informed and to modify their views and actions accordingly. In light of the monsoons of information that bombard us on a daily basis, this is undoubtedly a tall task. Fortunately, intuition is less concerned with amassing facts and details than it is with seeing and understanding broader patterns. IN types are thus mostly concerned with seeing how new information squares with their general understanding of things. But even then, they can’t help but wonder if they are missing something important—a critical piece of the puzzle—and this may inspire self-doubt and a reluctance to act on their beliefs; they feel torn between their need for accuracy and their desire for purposeful action. How much time should one spend selecting, studying, and preparing to shoot a target before finally pulling the trigger? INs typically spend far more time engaged in this sort of reflective preparation than other types. It is therefore not unusual for them to worry that life may be passing them by as they spend copious amounts of time introspecting and trying to figure things out. This was exemplified, for example, by the IN philosopher Ludwig Wittgenstein who remarked on several occasions that he intended to quit philosophy in order to take up a more “ordinary life.” INs may fear that spending too much time in their own minds (N) will prevent them from experiencing or appreciating the simple pleasures (S) of life that other types seem to enjoy in abundance. In type parlance, they worry that investing too much time in their dominant functions may hinder the development and integration of their inferior functions. Insightful article. Is there going to be a part 2 to tell us INs how to get out of this conundrum? As an IN, I often feel trapped by this paradox. I’d love to see that article as well!! A tree that doesn’t bend will break… So bend with the wind, go with the flow..
Great article. As an INFJ I can relate though, now at age 42, I am in a different place. I chose a career and worked it for ten years, although it took me until age 30 to do so. Working in mental health as a counselor that wanted to “help” people ended in disillusionment. Fighting unethical business practices and bureaucracy left me drained; not to mention the daunting task of licensure upkeep. I let it all go, took on simple work, and now focus on poetry and music as a passion. I am much happier, though with less money, and more satisfied with my sense of self. As an INFJ I had to realize that I am not here to help others change for the better, but myself. If someone reads my poems and it sparks some thoughtfulness, then great, if not, so be it. I had to learn to accept this, though our society would be healthier if they heeded their “shamans”. Yes, it kind of feels like you left us hanging there.. Sorry about that. I guess I was hoping to spark some fruitful dialogue about the topic that might further elucidate the challenges IN types face, as well point to potential solutions or directions for future articles. I love that quote, Suzyyne. It has encouraged me to continue my quest in a subject that has puzzled me for a long time now. It helps to find the humor in things. After having lived a ‘serious’ life with !purpose! Haha, I now often just find myself observing my surroundings creating situational cartoons in my mind. Its hilarious! Ease up and let go…. One more thing, if I follow the seeking of fleeting pleasures and ‘bucket lists’ of the SE dominant crowds, I’ll find myself alone, lost and wondering why none of this (stuff) really means anything to me. Of course, I wonder that now as I watch them. It makes me think, what would TV commercials look like if they had to appeal to IN tyoes? Shamoa, which subject puzzled you? Great article! Really hits the nail on the head! The sentence, “How much time should one spend selecting, studying, and preparing to shoot a target before finally pulling the trigger?”, really struck me. And yes, I’d love to see that part 2 mentioned above, too. Where are all the sage, healer, Shaman, and prophet job openings on Indeed.com?? Haha!! ???? and to stay grounded in how to teach sometimes complex ideas to eight year olds! Until you have a mental breakdown at some point because you are trying to fit in with the peasants. From my own experience I can say that on one hand I think quitting my job was one of the best decisions I took to accumulate some “Me” time and on the other side of the coin that this can be a career suicide too. I think self-acceptance is the best antidote (you do not have to pretend you are an SJ or an SP or an extravert to be of value, no matter how much culture/others attempt to insist otherwise), as well as acknowledging that just because other INs are beating you to the punch, putting their insights out there, doesn’t mean that your insights are meaningless or unneeded. One IN doesn’t equate another IN. We are all unique individuals with our unique perspectives, insights, thoughts, and values. (yes my Fi and e4 are showing… :) Not to mention, is our influence now only felt via the internet? What about one on one relationships? What about real human contact? What about intrapersonal understanding, as in your relationship with yourself? Thank you for the article. What helps me personally in dealing with perfectionism is reminding myself that what I am doing right now could be the my last doing, without being even brought to fruition. I don’t think this fear of “missing out” is justified most of the time. INs might “have the impression” that they are not participating in real life, rather than the “conviction”. The thing with the Sensory world is that it is THERE: the simple fact that we are alive covers it all. However, the Modern world is over-saturated with Sensory stimuli (progress, some would call it), and since most INs don’t go for the S-hype, they get the impression that they are not “in”. After many years of being told to “focus” on your senses, you start to develop an inferiority complex, or at least question the modus operandi of your existence. The key to overcoming this “existential depression” is to invest in your “other” extroverted function. The one that gets you to break the “introspection” cycle. This has been said enough, but Nature wasn’t stupid when it designed INs. The opportunity to balance ourselves and be “whole-ier” is within us (Fe and Te). Still, I don’t think modern life is exclusively “harsh” on INs. INs will definitely struggle when they are young, however, later on in life, this “in the cloud-ness” proves to be particularly relevant in a Modern world that is “scared” of understanding life itself and needs “guides” to smooth the inevitable march towards death. I only have to look around me and see how most people are “despairing” about pointless matters to realise that, as an INTJ who has contemplated my own death and its aftermath on several occasions, most Human beings really are CLUELESS about the meaning of their lives until it is about to end. Good article. This is certainly what’s going on. The right direction or the right system is what i seek. I often wonder if seeking is the answer itself but nooo because INFJ. Haha. Have a good day. This article is hilariously well timed for me. I am prepping to go back to school for a Master’s in School Counseling now that I have – finally – pin pointed a job that will encompass all facets of my INTJ/P personality. This will be my second time through grad school and it feels like it’s taken me forever to come to the pivotal “ah ha” moment that has gotten me here. I’ve been researching, reading, studying about the field for six months now. My intuition and logic are both pointing in the same direction – for once. It’s been a long, hard road finding my niche, but I think it’s finally found it. It’s nice to read this and know that I’m not alone in how arduous of an adventure this can be. I’m sorry, but this comment is inaccurate. 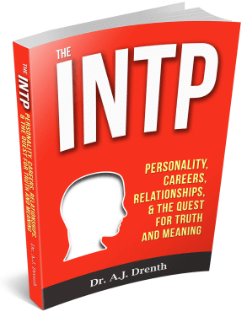 You cannot be INTJ and INTP simultaneously (which is indicated by INTJ/P on your comment). The two use completely different functions (Ni, Te, Fi, Se in INTJ vs Ti, Ne, Si, Fe in INTP), and they do not appear in a similar way (despite what everyone seems to think). When I would take different general personality tests, including the one on this site, I always came up INT with the J/P split almost evenly. My own research into the types had me supposing that I was actually an INTJ but I wasn’t sure. 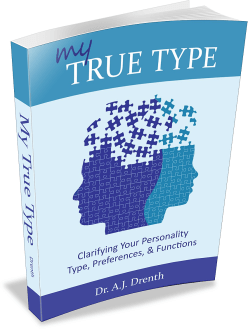 There is an indepth INTJ/P type clarifier test on this site by Dr. Drenth which I took that, for only a few dollars, demonstrated beyond doubt I am certainly an INTJ. I recommend it; it was well worth the ten bucks to know for sure which type is the best fit for me. Also, this article pretty much sums up my experience with the world. I joined a small local yoga studio and some Meet Up hikes to help with socialization and being part of a tribe. So true. I’m a therapist, and I’ve often thought that my primary reason for choosing that profession is because I am meant to be a shaman/healer, and therapy is the socially acceptable way to fulfill that role in the modern world. Being an INFP, specifically, I also feel that part of my struggle is that my innate empathy requires me to try to understand every perspective (whether or not I agree with it). That’s a much taller order in a world glutted with information―a world where anyone can make their voice heard―than it would have been in a small, close-knit tribe. Combine that with a deep suspicion of groupthink (very much an enneagram 4 here), and it often leaves me feeling isolated and misunderstood. Very insightful…I certainly don’t think the author should be apologising for this article! Our incisive intuition can be used here to glean insight into our own subtle psyches. The world needs us now more than ever… but we have to go out & apply our knowledge…applied knowledge (that works) = wisdom. Even though there are lots more distractions, nowadays, there are correspondingly more ways & means to disseminate our knowledge/wisdom. Drop your wise seeds wherever you can! This article resonated with me so very strongly and really hit me in the heart. I am a living, breathing example of a person who has squandered much of her life “selecting, studying, and preparing to shoot a target”… and I’ve yet to pull the trigger. I just hope that I can figure out how to remedy this before it’s too late. I’m not getting any younger. Tabitha – I’m totally with you. Some days I feel virtually panicked that I’m going to die before I “figure out” my path/purpose/mission/passion/whatever. Stephen – I’m an enneagram 4, too (with 5 wing). That one, I’m certain of, but I’m not sure what my MBTI type is. I see myself in INFP, INFJ, and INTP.. so, I don’t know. Best advice I was given as a young INFP—think of yourself as a marathon runner. While others amass success early, I was taking a different, deeper, slower path. For decades it was difficult and humiliating. But it has paid off in breakthrough understanding of the state of the world and the nature of being human. I am happy with myself and a small tribe. Knowledge made it all worthwhile. Ditto on the nailing it part, and also the… any suggestions? part. If I knew how to resolve this dilemma (30 yrs and counting) I might not be reading this stuff. Seems like everything I’ve tried hasn’t worked. And I’ve tried many, many things. Even if it doesn’t seem quite in tune with everyone else. the music in your soul. What if we’re perfect the way that we are? Dominant-tertiary loops also seem to play into my life to an extent that I often don’t trust my auxiliary function. For me as an INFP that’s an Fi-Si loop. The possibilities that Ne perceives remain out there as taunts more than hopes for positive change especially when drawing upon personal history of following Ne leads that result in failure, mostly from clashes with the external world (what is allowed, what is expected, what is acceptable and expected by society at large). For me it has resulted in a dreamer-type personality that no longer dares to dream, to feel once again the crushing pain of defeat. I have definitely experienced this. I’m studying programming and app development, but not a day goes by that I don’t think about returning to physics or turning to engineering or political science. However, I’m relatively confident I made the right choice – programming is becoming more ubiquitous by the day. 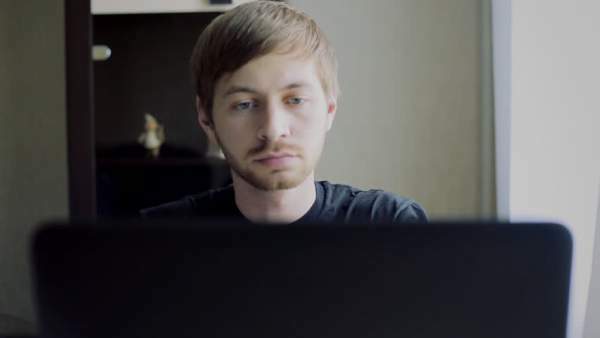 I’m an INTJ studying programming and web development, too. As far as being a practical way to make money, the career prospects are bright. But my brain naturally wants to focus on bigger issues, like why am I doing this? Why is this being programmed this way? Why am I here on planet earth? It’s not just IN’s I believe, but all introverts. I am a ISTP and face a similar dilemma. We live in a world made by and for extroverts who are trying to make everyone conform to their ways. I feel like I deal with this a lot. Unfortunately the only solution I’ve found is just to grit your teeth and do it. More often than not, I go for whatever it is I want but keep a backup plan. I’ve signed up for too many extra curriculars because I only have to keep up with the ones that work out. I’ve almost entirely given up on the dream that there is professional purpose for me. Even though I have a job that fulfills my physical and mental needs, I still get the urges that there is something else out there that is a MORE PERFECT fit. It never goes away. Part 2 with solution suggestions please! As a 25 year old INTP-T, I strongly related to the article. As for the final line of the piece however, I find that I deal with the opposite to that issue. If I spend too much time indulging the inferior functions, I feel guilty and irritable because I’m not spending enough time utilizing my dominant. It makes it challenging to live this “ordinary life” that Wittgenstein spoke of. I feel as if I’m not cut out for it, or like I’m acting in a role. I am INFP, and a Licensed Mental Health Counselor. I am 56, and have just left the professional after having worked in many agencies serving abused children. The politics, the low pay, the lack of integrity and the corrupt child dependency system have all shown me that I can not help the world in this way. It is like chipping away at a mountain. I have read and re-read “The Power of Now” and “A New Earth”, by Eckert Tolle. His insights are powerful truths about our collective delusion about who we are and what life is about. It has given me permission to go within, to stop searching for the right job, and to focus on what I always wanted and needed to do, which is to break through the delusion and to percieve reality (enlightenment, Nirvana). I think INs are more easily able to focus on inner growth than other types, and it is our purpose to do so, and our mission in the world to help bring about a shift in consciousness. I’m another one (INTP) reading this (and other similar) articles on this site…which are awesome…but I have no idea how to…adapt(? I almost said ‘fix myself’ – but presumably I’m not broken) and solve the dilemma? 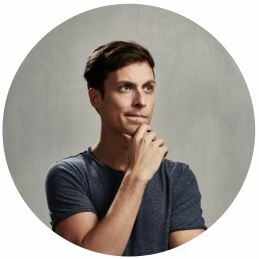 Steve: I’m proud that I’m an INTP, I still struggling to “find” myself, but one of the thing who we are is the challenge to solve problems. At the moment you haven’t idea how to adapt, but if you take enough time, make some research and base of them can do your own consequences and find the solution. Now the fear of remaining in a dominant function is just however not withstanding irony. As an infp if i spend too much time out of my dom func i become stressed hostile and erratic. And not many people understand my need for daydreaming or introversion. Balance is always the answer to any equation. Also try to ascertain what serves your authentic self and what doesnt. Youll find your energies more aligned that way. Not that we’ll ever know for sure, but I’ve wondered at times when ideas like tribal elders, sage, healer, prophet, etc. are brought up whether or not there were the issues we see today wherein someone is not immediately recognized for those tendencies/abilities due to the introverted nature of the person. For example, even in earlier ‘civilized’ society, the function of the child followed the family line – some were cobblers because their father was a cobbler, a farmer because their father was, etc. Not because they were suited to this, but because it’s what was expected. How many tribal elder/sage types were initially IN types, but this did not follow down genetic/family lines and someone else in the tribe was better suited as an IN, but not recognized due to introverted tendencies? It would be fascinating to study if enough material existed to truly study/research. As to the rest of the content, very insightful. I, too, have wished many times for a simpler life (mentally if nothing else), but sometimes I wonder, as you alluded to, if this is just the dominant functions needing a break and letting the tertiary and inferior functions time to go out and play. The how long question is also difficult. I have teetered on the verge of (to me) difficult decisions for way too long because I’m not only considering every angle, but because (at times) things like pros and cons lists are pointless because I can see both sides of the issue almost endlessly. Thinking about INTP in tribal life is a stunning subject for me. We could also guess that some INTP could have gone on the warrior team of the tribe. 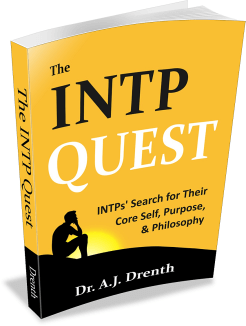 Hunting is a lot of endurance, and I think INTP can work hard for an objective. It’s also a lots of tactics (wind, environment) and things to improve (as weapons). On the other side we could also wonder if the actual percentage of types in the population is a selection made at theses times.